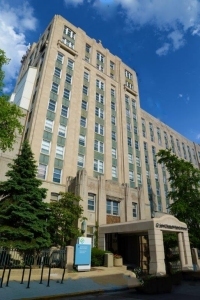 Presence Saints Mary and Elizabeth Medical Center, 1431 North Claremont Avenue in Chicago, has been named by U.S. News and World Report as one of “America’s Best Nursing Homes.” The magazine reviews data about nearly every nursing facility in the United States, updating the information every quarter and using it to rate and rank the homes. All of the homes in the U.S. News listing received five stars, the highest overall rating, from the federal government’s Nursing Home Compare consumer web site that is operated by the federal Centers for Medicare and Medicaid Services. More than 1.4 million Americans will spend at least part of this year in one of the nation’s nursing homes, according to U.S. News. Using data from Nursing Home Compare, a consumer web site run by the federal Centers for Medicare and Medicaid Services, U.S. News ranks and displays data about nearly every U.S. nursing facility and updates the information every quarter. If you are interested in learning more about the short-term rehabilitation program at Presence Saints Mary and Elizabeth, call 773.278.2000.